STORBOX Self Storage in Pasadena provides multiple storage options to ensure we meet our customers various storage needs. We offer climate controlled units, drive up units, and we offer outdoor parking spaces for rent. We also have a limited number of indoor parking spaces available. We also offer the finest private wine storage onsite at the Wine Grotto. View a list of those options below. Moving? Relocating? Can't park your car in the garage? Family moving in with you? Simply running out of space? That’s what we’re here for! STORBOX makes it easy. Take a video tour of STORBOX! STORBOX provides the newest, best**, and most affordable storage solutions for your personal storage needs. We offer a huge variety of sizes at competitive prices to suit your individual requirements and have custom shelving rentals to keep your items organized, accessible and in good condition. All units are rented on a month-to-month basis, no long term contract required, we will even provide you a FREE moving truck rental** to move in. We offer CLIMATE and non-climate controlled units, drive-up units, and outdoor parking. *Some restrictions apply. Subject to availability. Please see terms and conditions. **Highest rated per Google and Yelp reviews. STORBOX Self Storage offers secure and affordable solutions for your business & office storage in Pasadena, CA. 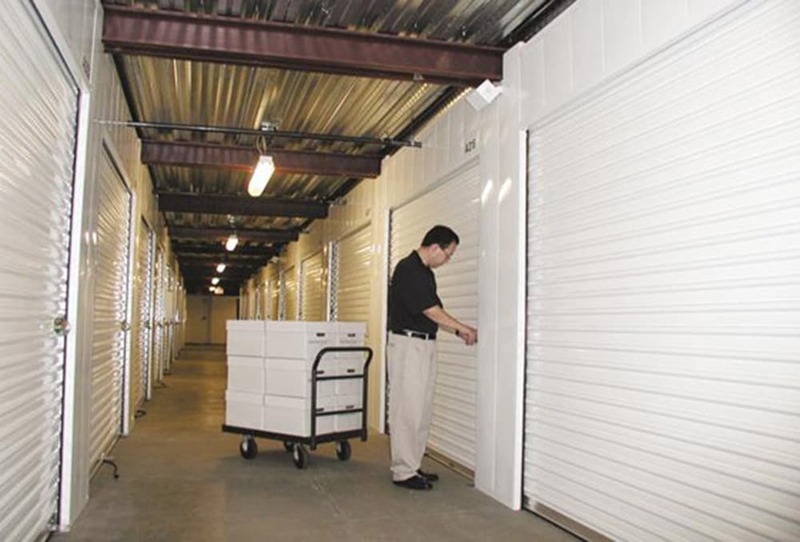 Consider us when you need inventory storage, record storage or safe keeping of your extra office furniture. We offer a broad selection of unit sizes from 4’x5’ to 10’x40’ to match your specific needs and have custom shelving rentals to keep your items organized, accessible and in good condition. As our many business tenants will attest, STORBOX Self Storage offers all the amenities and services you would expect from Pasadena’s highest rated* storage facility. All units are rented on a month-to-month basis, no long term contract required, we will even provide you a FREE moving truck rental* to move in. On-site deliveries are accepted*, Climate Controlled units are available for the protection of your items and the comfort of your employees, and for your convenience, packing and moving supplies are offered at low everyday prices. No safe place to store your wines at home? Is your collection outgrowing your wine fridge? Is your wine safe from power outages when you are not home? I get 3-4 a year in South Pasadena! The Wine Grotto offers a more civilized and scientific approach to wine storage in CA. Place your wine in our temperature and humidity controlled wine storage environment and enable your wines to age under prime conditions. There are other places that offer wine storage, but nothing close to what is offered at The Wine Grotto. Take a video tour of The Wine Grotto! **Approximate sizes based on average case sizes. ***Please inquire with your storage consultant for rates and terms.